Ground up restoration with many upgrades. Excellent condition. Just two owners. **Edit3 --> Photos added to Flickr set of car new in 1969, racing in early 70's and pre-restoration and Alpina modifications. **Edit2 --> In 1999 the original owner provided this information. - Front seats Recaro, Recaro supplied rear seat cover to match. **Edit --> so I've taken a bunch more photos, and have added them to flickr (use link above). I didn't get all the car shots you wanted because, well the car isn't all shined up yet. Please also remember it hasn't been vacuumed, washed or polished since 1995! It is being tuned, lines flushed and all new fluids. I've also ordered new tires. There is a tiny bit of rust on bottom of doors and a few other spots here and there. I've photographed them ALL. NO holes anywhere. Interior is like new, but as many of you have pointed out not original. I personally think the changes are 'upgrades' but I suppose that is personal taste. Paint peeling a wee bit in spots, no rust in those spots though. I've photographed them all. I haven't yet decided on a price. +1 What is the asking price? How does someone contact you? Looks beautiful. "Mileage," of course, is since the restoration, not from new. And it's amazing how little of the car those 14 photos actually reveal! Car is for sale. I'm having it transported to BMW for a service and detailing and new tires. I'll provide engine photos etc. later this week. Price is still up in the air. I was actually hoping to have you guys help me out with that. IF it is in perfect running condition and has just one 12 mm dent on back pass bumper (see pics) and interior is perfect. What do you think it is worth? I inherited this car and need help. Thanks for your comment. I thought the pics revealed a lot with all of the documents etc. What kind of photos should I take? I plan to take some video of the car running, but it has been sitting in storage and I wanted to have the old fuel flushed, before starting. I inherited this car and joined the group to get help and advice so thank you. I'm not sure yet. I am having it tuned up and inspected this week by bmw. I will then have a better idea of what it is worth. Looks like the VIN is 1682407. Would like to see underhood and underbody pictures. Done! I will have pics of engine and under carriage later this week. Car is on ranch, I'm back in the city. It started to snow yesterday as I was taking the photos and I didn't want to get the engine wet (or the car). I have sold a bunch of cars on ebay, personally I walk around the car & take photos as I am standing ; drivers side profile,front 3/4, front, pass 3/4 , pass side profile, rear 3/4, rear , then drivers rear 3/4 . then under hood, in trunk & interior , front seats, rear seats & dash , basically a car tour in 12 photos . I hope that helps, nice car BTW. Looks nice from the pics thus far. +1 for more detailed pics. The photos were good close-up photos to follow a series of photos of the entire car. Only one document photographed is worth keeping: the summary of its restoration history. The generic listing for a 2002, showing 100 hp, is not helpful. The 100,000 kilometer plaque photo is probably not helpful, although many buyers might worry whether it can be removed without damaging the dashboard. The front seats, although expensive Recaros, stand out as very un-original in a car that is otherwise very original in appearance. So, the photos should reveal the whole car: exterior, interior, engine compartment, and trunk. Any problem areas -- a dent here, a rust spot there -- should have a photo. People love photos of undersides that show either rust or the absence of rust. But anyone buying this car really needs to see this in person, or have an agent perform a Pre-Purchase Inspection (PPI). Why? Because if this car is, indeed, what it appears to be -- a factory 1969 2002 ti with upgrades from Alpina -- it's a rare and valuable car. By the way, a "tii," as this is advertised, is perhaps a faster, more powerful car than a "ti," but a ti is much rarer and more "sporty," with its dual sidedraft carburetors. The metal VIN plate under the hood should clarify if this is truly a ti: the difference between a tii and ti is important and should not be left ambiguous. Edit: A photo of the metal VIN plate (likely under the hood, on the right inner fender, just aft of the strut tower) and a photo of the engine number (stamped into a flat, horizontal boss cast into the top of the back of the engine, just above the starter motor) would be very valuable. A collector or buyer would want to see whether the engine number is the same as the VIN, 1682407, verifying the car has its original engine. Does the car have a price? Looks like the VIN is 1682407. 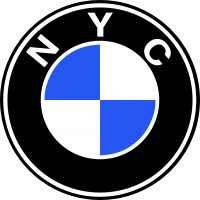 And the "Club BMW 2002 Columbia" VIN lookup indicates that that VIN was assigned to a 2002ti built between January and December 1969.